According to research, the popularity of extreme and dangerous sports has increased in recent years, and we can look at parachuting as an example of this. Last year in Britain alone there were over 56,000 people registered as parachuters. This number had jumped phenomenally, and other evidence suggests that there are plenty of other sports that are just as popular. Any video involving people completing extreme sports regularly reaches millions of views online from people interested, curious and perhaps eager to explore it themselves. What has caused this surge in interest for extreme sports? Well, there are a number of factors to consider. First of all, we should definitely think about improvements in technology and the fact that advanced tech has become more affordable for the masses. GoPro cameras are a great example of this. GoPro cameras can be strapped to a helmet or any part of the body and give a first-person account of extreme sports online. This has definitely made the prospect of jumping off a mountain or perhaps deep sea diving an attractive possibility for the many. As well as this, the media certainly love to make a big deal out of people who have decided to try awesome adventure activities. So, now we have looked at a few of the reasons why extreme sports are so popular today, let’s explore some of the ones that you could try yourself…if you’re brave enough that is! Base jumping is an awesome sport, and it is essentially just like parachuting. However, there is a distinct difference between parachuting and base jumping. When you parachute, you will be jumping or rather fall from thousands of feet in the air after jumping out of a plane. Base jumping is about jumping off a building like a skyscraper or even a cliff face. It’s probably been made popular by the fact that it has shown up in a number of action movies including MI3. You might remember, Ethan Hunt, hurling himself off a building in China and pulling the chute before landing on the ground below. The problem with base jumping is the time, and this is what makes it so dangerous. You have a limited time to pull the chute before the jump becomes dangerous and an injury is a certainty rather than the possibility. Skilled jumpers will tell you that the most dangerous part of the jump though is the landing. It’s important that you land with the right technique otherwise you could risk both leg and back injuries. Bending the knees at the right moment is an essential part of this but it is just a tiny piece of the info you need to know before trying this sport. That’s why base jumpers need a lot of experience and lessons before signing up. Though, you will on occasion find that a complete amateur is giving it a go. Sports enthusiasts typically recommend that parachuting is attempted before base jumping. First, you need to make sure you can handle the fall. If you can’t handle the fall, there’s no way that you’re going to be able to manage the landing. Made popular perhaps by the hit book adaption Twilight where the werewolves were seen in human form jumping from the cliff face into the ocean, cliff diving is incredibly dangerous but certainly exhilarating. Still, you need to be just slightly crazy to think: hey, you know what would be fun? Hurling myself from a cliff down into the choppy water below. Again, the danger is often misunderstood here because a lot of people think it’s the rocks in the water. That’s certainly an issue, and you do need to make sure that when you complete the dive, you avoid the rocks below. It’s difficult particularly when you think about the fact that rocks can be hidden underneath the surface of the waves. And of course, you do drop pretty far beneath the surface whenever you cliff dive so there’s always a chance you will hit something. But again, the jump isn’t the most dangerous part. The real danger is the underwater current and of course the waves. Both could be powerful enough to causes some serious damage. Being a strong swimmer will certainly help you here and may allow you to break free from the crushing power of the water but don’t count on it. It’s true to say that most people who go cliff diving do go in a group to ensure that there is support if anyone does get in trouble. Wait, hurtling down a mountain doesn’t sound like an extreme sport to you? One wrong turn and you’ll be thrown off the bike and gravity will do the rest, dragging you hundreds of yards down the cliff. Wearing the right safety equipment is essential here and that includes a full head helmet to protect your skull. As well as this, you need full padding for the rest of your body. To mountain bike, you really need to make sure that you have the balance down. You’ll be amazed at how often you’re standing on the pedals rather than sitting on the saddle. It’s all about adjusting your weight based on the ground underneath the wheels. And of course, you do need to make sure that you are using a good quality bike that you can trust to keep you safe on the slope. If you want to be even more adventurous, you can consider going mountain biking after dark. Mountain biking in the dark adds a little more thrill and excitement to the activity because you can’t see everything that surrounds you. Of course, you won’t be completely blind, and it is recommended that you invest in a solid pair of lights for your bike, developed by companies like Outbound Lighting. Companies like this work tirelessly to provide you the best vision when you are biking at night and ensure that your experience is as safe as possible while still daring and incredible. Obviously, this one is region sensitive. For one thing, you’re going to need a volcano. However, once you find one – we suggest using one that is extinct rather than dormant or active – all you need then is a piece of plywood. With a makeshift sledge, you can rocket down the side of the dangerous mountain. You can hit speeds of up to 90 mph, and you can see a rather epic example of this in the embedded video below. If it doesn’t look like something you might want to try, perhaps it’s best to just wait for the snow to start falling and then you can go sledging. It is more or less the exact same idea with a different aesthetic albeit slightly more dangerous if the volcano erupts while you’re climbing it. The brilliantly fun and bizarre sport of hurtling down a hill in a plastic ball like a suicidal hamster. It’s actually a huge amount of fun, and you’ll definitely leave with a big smile on your face. Though, you might also hurl at some point so it can be a bit of a mixed bag. It also doesn’t require that much skill. Get to the top of the hill, get in the ball and start rolling. Add a hint more excitement by trying this sport on water and just pray that you don’t suddenly find the ball has started to fill with water because no one wants to be a soggy hamster. This one is very fun, very fast and very dangerous. Surfing, in general, is quite dangerous because there’s always the chance that you lose control, fall and hurt yourself. Or, as already mentioned get dragged under the water or even out to sea. That’s why it’s another sport where being a strong swimmer is going to be key. 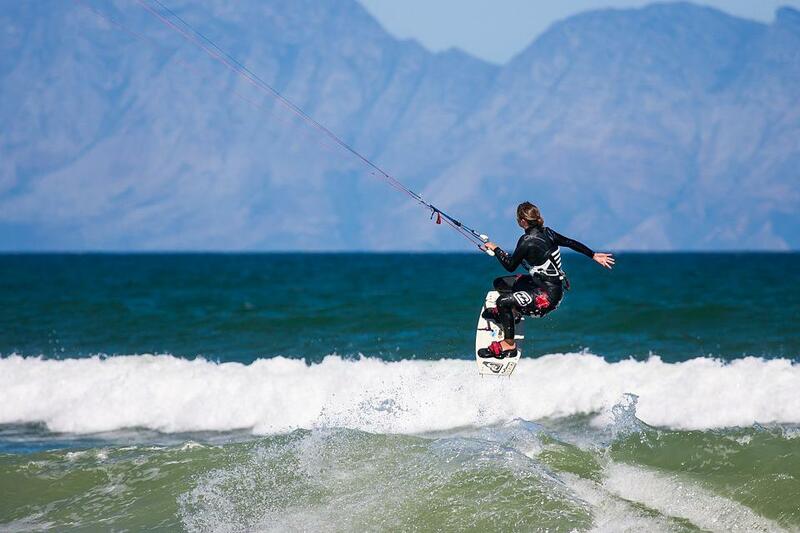 Kitesurfing adds something else because while you’re surfing the waves, you’re also pulling in the power of the air currents and essentially getting some air as well as some surf. That’s right, with the right wave and the right surf, kite surfers can jump tens of feet into the air. So, if you’re scared of heights, water or flying it’s probably not the sport for you. On the other hand, if you laugh in the face of danger, go for it, you could have a fantastic time out on the waves. There are plenty of sports we haven’t touched on here from cave diving to bungee jumping, all with their fair share of fans who love nothing more than pushing their bodies and even their minds to the limit. It does take a certain kind of person to try these sports, but it’s impossible to deny the appeal. It’s often been said that you never feel more alive than when adrenaline is pumping through your body. Well, you’ll certainly feel it completing these activities.